Got a hankering for some dark fantasy action? From Software is back, but instead of Dark Souls, it is dragging itself into the new generation with a brand new horror franchise called Bloodborne. Don't feel too discouraged if you were expecting Dark Souls III, because if these six minutes of gameplay from Gamescom have anything to prove, it's that the differences between the two are minimal at best. Indeed, the digits which emerged from an enemy when it is struck. The red life bar and green stamina bar. The blocking, rolling, attacking at the right moment in combat. The item selection. The lurking enemy waiting in hiding to throttle you. The back-stabs. Even the torch and misty doors come back! Everything about this clip screams Dark Souls in your face, and yet, it's not Dark Souls. It's Bloodborne. If there is any difference, I would say some of this character's melee attacks are a bit more airborne and possibly faster, and he also is packin' heat with a pistol in his off hand. Beyond that though, the major differences between the two series are superficial at best with the bloody attacks and gothic atmosphere. The gorgeous graphics don't hurt Bloodborne's presentation in the least, and I'm diggin' the old man firing a shotgun from his wheelchair. Does that make you excited or upset? Demon's Souls and Dark Souls were great, original games with a visionary director behind them. I was hoping that with a new title, we could see some new ideas from the guy who turned action games on their heads. Instead, we are getting more of the same like in Dark Souls II. Bloodborne looks like a fabulous game, don't get me wrong, but I'll wait and see if it pulls through and becomes an amazing original franchise that can stand on its own. Call me skeptical about getting anything new out of this game yet. 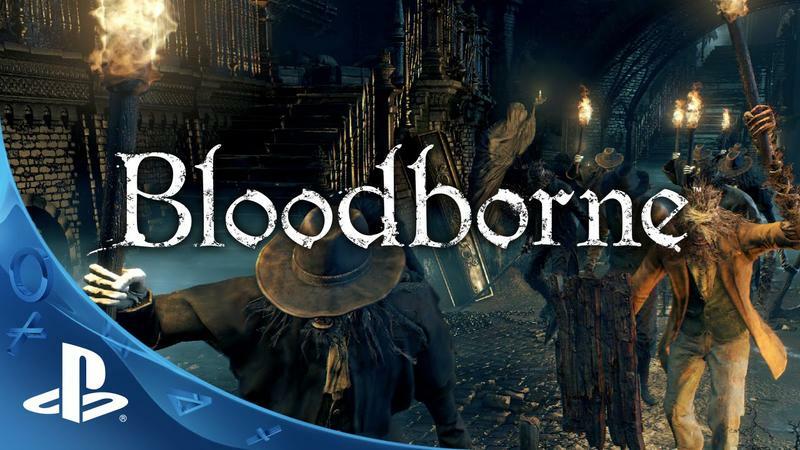 Bloodborne will release for the PlayStation 4 in 2015.